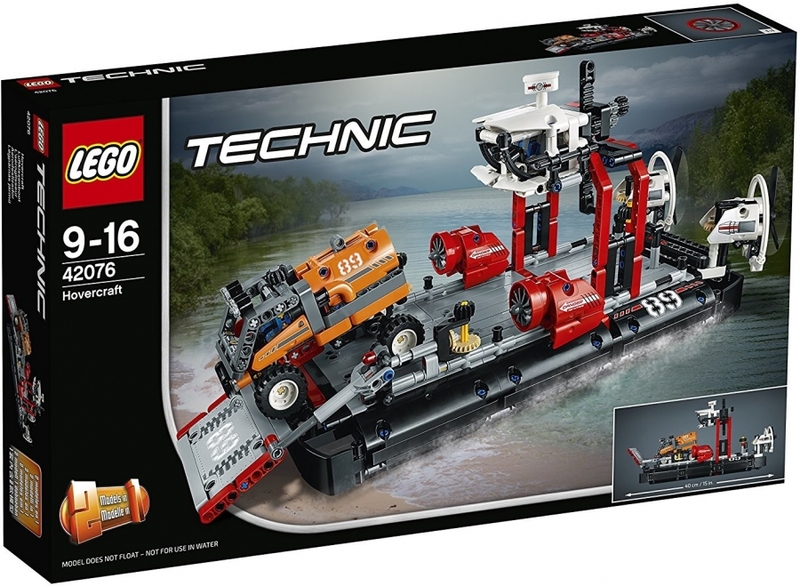 Reach inhospitable areas with the LEGO® Technic Hovercraft set, featuring a black and white color scheme, working crane with operator’s cab and a raisable loading platform. Maneuver the Hovercraft to spin the twin rear fans and operate the working steering to move them left and right. This advanced building set also includes an expedition truck with a detachable cargo container. Rebuild the set to create a Jet Boat.